2012 NS Bikes parts & frames have arrived and the crew are starting to get their brand new bikes built up for the season. 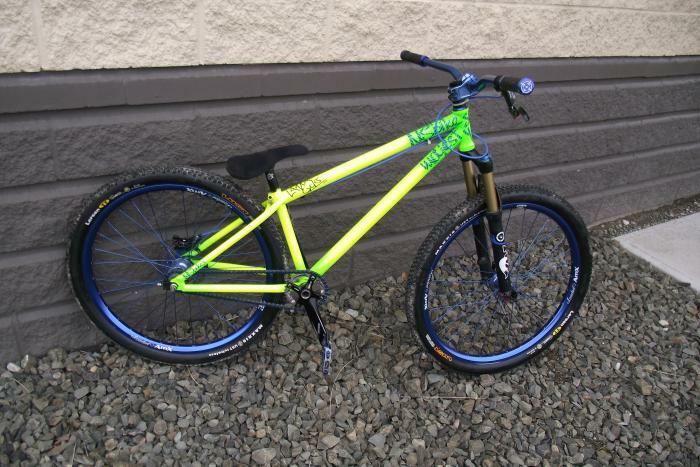 Here's homie Aeron Learmonth's 2012 NS Majesty Dirt in the eccentric Lemon/Lime color! Aeron's got special plans this summer so you'll be seeing a lot of him and his bike throughout the season!